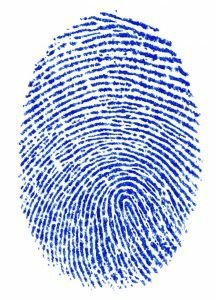 Itiel Dror and colleagues at Southampton University recruited five fingerprint experts with 85 years of experience between them, and asked them to analyse a pair of fingerprints that, unbeknown to them, they had previously declared as matching in a real-life criminal case five years earlier. Crucially, the researchers misled the experts, telling them that the pair of prints – including one from the scene of the crime, and one from a suspect – were the same pair that had led to the wrongful arrest of an innocent Muslim as the Madrid bomber. In this context, and even though they were allowed to use their usual lab facilities, only one of the experts now declared the two prints as a match. Three said the prints didn’t match, and one said a definite decision couldn’t be made. “This study shows that fingerprint identification decisions of experts are vulnerable to irrelevant and misleading contextual influences”, the researchers said. “Further research should use different and more subtle manipulations to examine in greater depth when such factors affect performance and render the experts vulnerable to misjudgements”. Dror, I.E., Charlton, D. & Peron, A.E. (2006). Contextual information renders experts vulnerable to making erroneous identifications. Forensic Science International, 156, 74-78. Link to lead researcher Dr. Dror talking on BBC’s Newsnight programme.